Professor for trumpet at the Aarhus University and regarded one of the finest music pedagogues of his generation, Kristian Steenstrup is regularly invited all over the world to give workshops and masterclasses with the major orchestras and music schools to help students and professionals improve their playing technique. 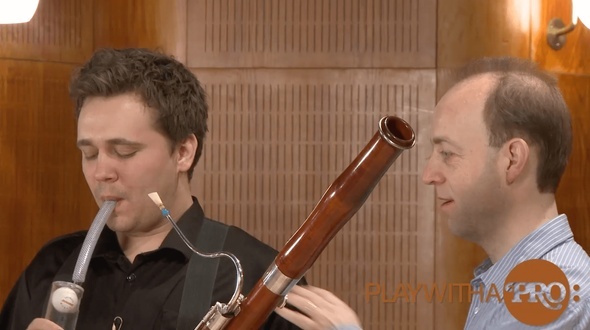 Kristian SteenstrupSteenstrup Bassoon Masterclass no 2 and Breathing Fundamentals76 minutes program and introduction to a new way of playing the bassoon. Masterclass with Tansman Sonatine for Bassoon and Piano with the techniques implied on top of the music. You will learn about the great benefits the Breathing and Blowing ideas have to offer your own playing on a daily basis. No hokus pokus- simple and down to earth ideas and exercises.Kristian Steenstrup is regarded one of the finest music pedagogues of his generation. He travels all over the world and gives workshops and masterclasses with the major orchestras, music schools and is professor in Aarhus- Denmark where students from all over the world comes to study with him to improve their playing.Be ready to get surprised of the extraordinary changes his methods and exercises will have on your own playing – being a brass/woodwind or even singer or string player.It´s no exaggeration to say it will dramatically change your playing even after a few days work with these simple yet very efficient exercises. Kristian SteenstrupSteenstrup Bassoon Masterclass no 1 and Breathing Fundamentals76 minutes program and introduction to a new way of playing the bassoon. Plus a masterclass with Mozart Bassoon Concerto with the techniques implied on top of the music. You will learn about the great benefits the Breathing and Blowing ideas have to offer your own playing on a daily basis. No hokus pokus- simple and down to earth ideas and exercises.Kristian Steenstrup is regarded one of the finest music pedagogues of his generation. He travels all over the world and gives workshops and masterclasses with the major orchestras, music schools and is professor in Aarhus- Denmark where students from all over the world comes to study with him to improve their playing.Be ready to get surprised of the extraordinary changes his methods and exercises will have on your own playing- being a brass/woodwind or even singer or string player.It´s no exaggeration to say it will dramatically change your playing even after a few days work with these simple yet very efficient exercises. Kristian SteenstrupBreathing fundamentals for Clarinet plus Masterclass90 minutes program and introduction to a new way of playing the clarinet. You will learn about the great benefits the Breathing and Blowing ideas have to offer your own playing on a daily basis. No hokus pokus- simple and down to earth ideas and exercises.Plus you get to see in real life how these exercises and tools work on a real piece of music- the Mozart Clarinet Concerto- 1st and 2nd mvtKristian Steenstrup is regarded one of the finest music pedagogues of his generation. He travels all over the world and gives workshops and masterclasses with the major orchestras, music schools and is professor in Aarhus- Denmark where students from all over the world comes to study with him to improve their playing.Be ready to get surprised of the extraordinary changes his methods and exercises will have on your own playing- being a brass/woodwind or even singer or string player.It´s no exaggeration to say it will dramatically change your playing even after a few days work with these simple yet very efficient exercises. Kristian SteenstrupBreathing Fundamentals and Horn Masterclass76 minutes program and introduction to a new way of playing the horn. Plus a masterclass on Schumann Adagio and Allegro with the techniques implied on top of the music. You will learn about the great benefits the Breathing and Blowing ideas have to offer your own playing on a daily basis. No hokus pokus- simple and down to earth ideas and exercises.Kristian Steenstrup is regarded one of the finest music pedagogues of his generation. He travels all over the world and gives workshops and masterclasses with the major orchestras, music schools and is professor in Aarhus- Denmark where students from all over the world comes to study with him to improve their playing.Be ready to get surprised of the extraordinary changes his methods and exercises will have on your own playing- being a brass/woodwind or even singer or string player.It´s no exaggeration to say it will dramatically change your playing even after a few days work with these simple yet very efficient exercises. Kristian SteenstrupBreathing Fundamentals and Oboe Masterclass76 minutes program and introduction to a new way of playing the oboe. Plus a masterclass with Mozart oboe Quartet with the techniques implied on top of the music. You will learn about the great benefits the Breathing and Blowing ideas have to offer your own playing on a daily basis. No hokus pokus- simple and down to earth ideas and exercises.Kristian Steenstrup is regarded one of the finest music pedagogues of his generation. He travels all over the world and gives workshops and masterclasses with the major orchestras, music schools and is professor in Aarhus- Denmark where students from all over the world comes to study with him to improve their playing.Get ready to be surprised of the extraordinary changes his methods and exercises will have on your own playing- being a brass/woodwind or even singer or string player.It´s no exaggeration to say it will dramatically change your playing even after a few days work with these simple yet very efficient exercises. Kristian SteenstrupBreathing Fundamentals and Trombone Masterclass76 minutes program and introduction to a new way of playing the trombone. Plus a masterclass with Wagners famous opening of 3rd act to Die Valkyrie with the techniques implied on top of the music. You will learn about the great benefits the Breathing and Blowing ideas have to offer your own playing on a daily basis. No hokus pokus- simple and down to earth ideas and exercises.Kristian Steenstrup is regarded one of the finest music pedagogues of his generation. He travels all over the world and gives workshops and masterclasses with the major orchestras, music schools and is professor in Aarhus- Denmark where students from all over the world comes to study with him to improve their playing.Be ready to get surprised of the extraordinary changes his methods and exercises will have on your own playing- being a brass/woodwind or even singer or string player.It´s no exaggeration to say it will dramatically change your playing even after a few days work with these simple yet very efficient exercises. Kristian SteenstrupBreathing Fundamentals and Tuba Masterclass76 minutes program and introduction to a new way of playing the tuba. Plus a masterclass with Schumann Adagio and Allegro Masterclass with the techniques implied on top of the music. You will learn about the great benefits the Breathing and Blowing ideas have to offer your own playing on a daily basis. No hokus pokus- simple and down to earth ideas and exercises.Kristian Steenstrup is regarded one of the finest music pedagogues of his generation. He travels all over the world and gives workshops and masterclasses with the major orchestras, music schools and is professor in Aarhus- Denmark where students from all over the world comes to study with him to improve their playing.Get ready to be surprised of the extraordinary changes his methods and exercises will have on your own playing- being a brass/woodwind or even singer or string player.It´s no exaggeration to say it will dramatically change your playing even after a few days work with these simple yet very efficient exercises. Kristian SteenstrupBreathing Fundamentals and Flute Masterclass76 minutes program and introduction to a new way of playing the flute. Masterclass with Prokofiev Flute Sonata with the breathing techniques implied on top of the music. You will learn about the great benefits the Breathing and Blowing ideas have to offer your own playing on a daily basis. No hokus pokus- simple and down to earth ideas and exercises.Kristian Steenstrup is regarded one of the finest music pedagogues of his generation. He travels all over the world and gives workshops and masterclasses with the major orchestras, music schools and is professor in Aarhus- Denmark where students from all over the world comes to study with him to improve their playing.Be ready to get surprised of the extraordinary changes his methods and exercises will have on your own playing- being a brass/woodwind or even singer or string player.It´s no exaggeration to say it will dramatically change your playing even after a few days work with these simple yet very efficient exercises. 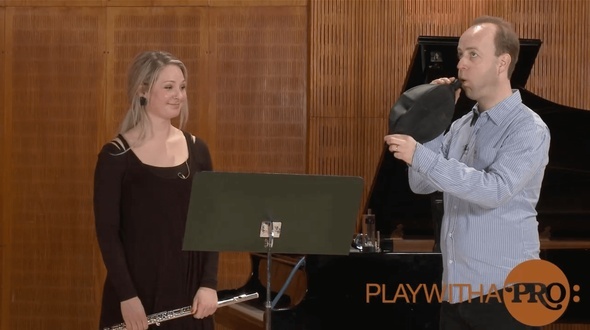 Kristian SteenstrupBreathing Fundamentals and Piccolo Masterclass76 minutes program and introduction to a new way of playing the piccolo flute. Plus a masterclass with Vivaldi Concerto and Tchaikovsky symphony with the techniques implied on top of the music. You will learn about the great benefits the Breathing and Blowing ideas have to offer your own playing on a daily basis. No hokus pokus- simple and down to earth ideas and exercises.Kristian Steenstrup is regarded one of the finest music pedagogues of his generation. He travels all over the world and gives workshops and masterclasses with the major orchestras, music schools and is professor in Aarhus- Denmark where students from all over the world comes to study with him to improve their playing.Get ready to be surprised of the extraordinary changes his methods and exercises will have on your own playing- being a brass/woodwind or even singer or string player.It´s no exaggeration to say it will dramatically change your playing even after a few days work with these simple yet very efficient exercises. 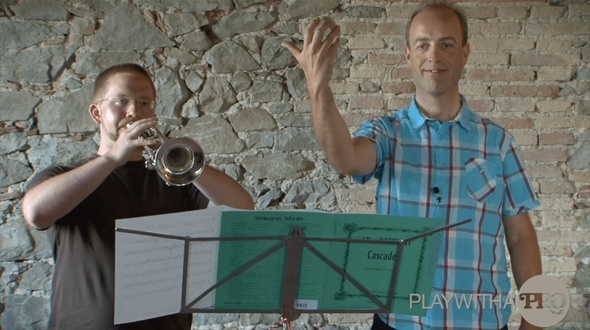 World renowned trumpet pedagogue and brass teacher, Kristian Steenstrup, shows how fast anyone can improve his/ her playing, if you do it right. Steenstrup has become world famous among top players from all around the world for his amazing skills to bring back the right habits and practice patterns to players at all levels. 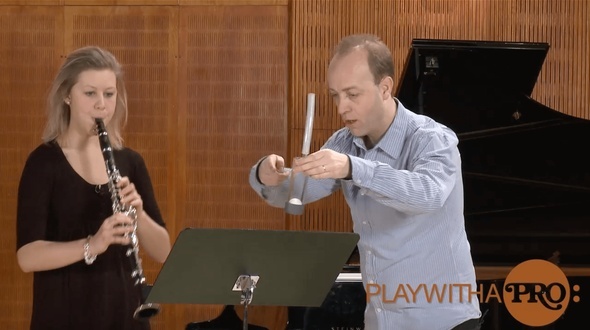 In Masterclass no 1 he shows how to prepare the great Intrada by Honegger and shows how little it takes to double your sound with half the efforts. Kristian Steenstrup was born in 1966. He studied at The Royal Academy of Music (Aarhus) and at Northwestern University (Chicago) with Vincent Cichowicz and with legendary brass specialist Arnold Jacobs. He is author of "Teaching Brass", an important source book for teachers worldwide. 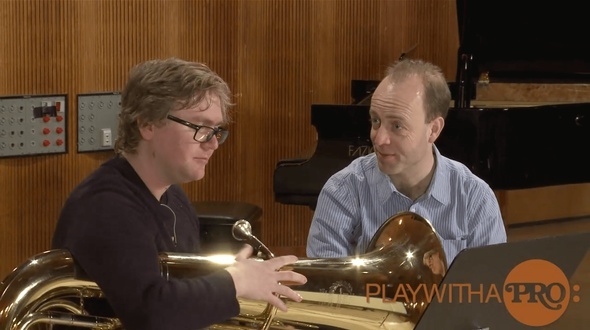 World renowned trumpet pedagogue and brass teacher, Kristian Steenstrup, shows how fast anyone can improve his/ her playing, if you do it right. Steenstrup has become world famous among top players from all around the world for his amazing skills to bring back the right habits and practice patterns to players at all levels. 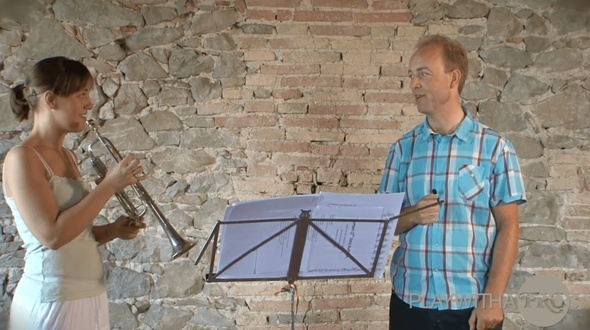 In Masterclass no 3 he shows how to prepare the scary piece Cascades by Vizutti, one of the most daring and challenging pieces for trumpet. Copy the film to your iPad, iPhone or iPod Touch. Kristian Steenstrup was born in 1966. He studied at The Royal Academy of Music (Aarhus) and at Northwestern University (Chicago) with Vincent Cichowicz and with legendary brass specialist Arnold Jacobs. He is author of "Teaching Brass", an important source book for teachers worldwide. 3 orchestral studies: Mahler 5, Alpine Symphony and Bartok Concerto for Orchestra.